In the spirit of Breasts Cancer Awareness Month, this video will teach you what you need to know about breast cancer prevention. Learn about the often-overlooked factors that increase your risk of developing breast cancer. Learn how to properly do self-breast exams. Finally, learn my top 6 things you can do RIGHT NOW to decrease your risk of developing breast cancer. Please share this with the women in your life. Together, we can beat breast cancer! 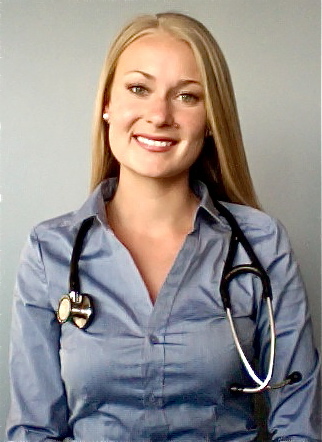 To book an appointment or free health seminar with Dr. Hilary Booth, please visit: www.darouwellness.com. College of Naturopathic Medicine. Dr. Booth was the recipient of the Gold Medallion award from the University of Western Ontario for the highest academic achievement in her field, an Honours Specialization in Physiology. Dr. Booth is a member in good standing with the BDDT-N, the CAND, and the OAND. Dr. Booth specializes in women’s health, fertility, and pregnancy care. She has additional certifications as a Naturopathic Doula, and in Facial Rejuvenation Acupuncture. Dr. Booth uses leading-edge evidence-based treatments to provide personalized, compassionate care for her patients at the Dr. Shawna Darou and Associates clinic in Toronto, Canada. Dr. Booth produces a weekly video blog on her website www.hilarybooth.com. Connect with Dr. Booth on Facebook and YouTube, or click here to book an appointment. Artificial Sweeteners – A Healthier Choice? Have you switched to artificial sweeteners, “diet” products, or calorie-free alternatives? Your body may be suffering! In this video Dr. Hilary Booth, Naturopathic Doctor, explains the dangers of artificial sweeteners and recommends healthier alternatives. What’s the deal with going Gluten Free? Do you ever wonder, What’s the deal with going Gluten Free? In this video, Dr. Hilary Booth, Naturopathic Doctor, clears up the misconceptions about gluten by answering the what, where, when, why, who and how of going gluten free.